The fabric face is a lustrous soft silk, almost like the feel of a duchess satin, and the reverse side is a cotton backing. 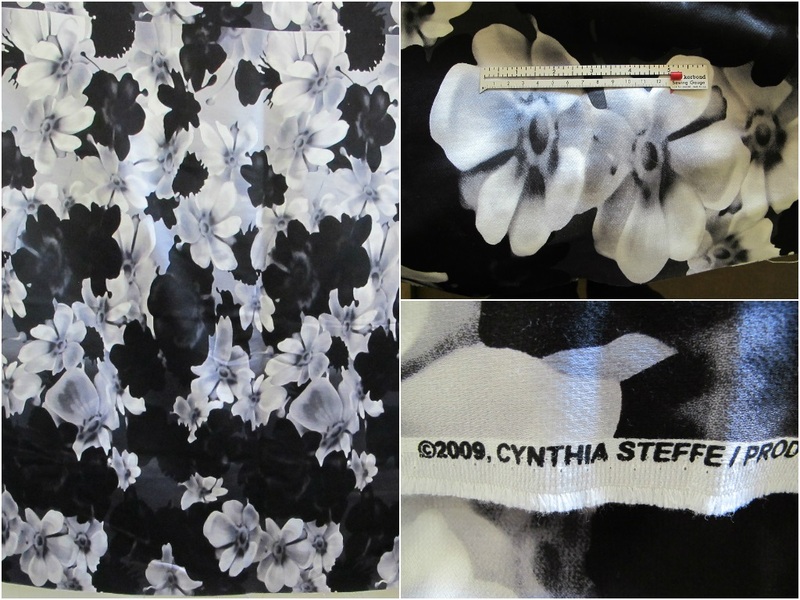 The result is a substantial fabric that is perfect for jackets, simple dresses and so on. 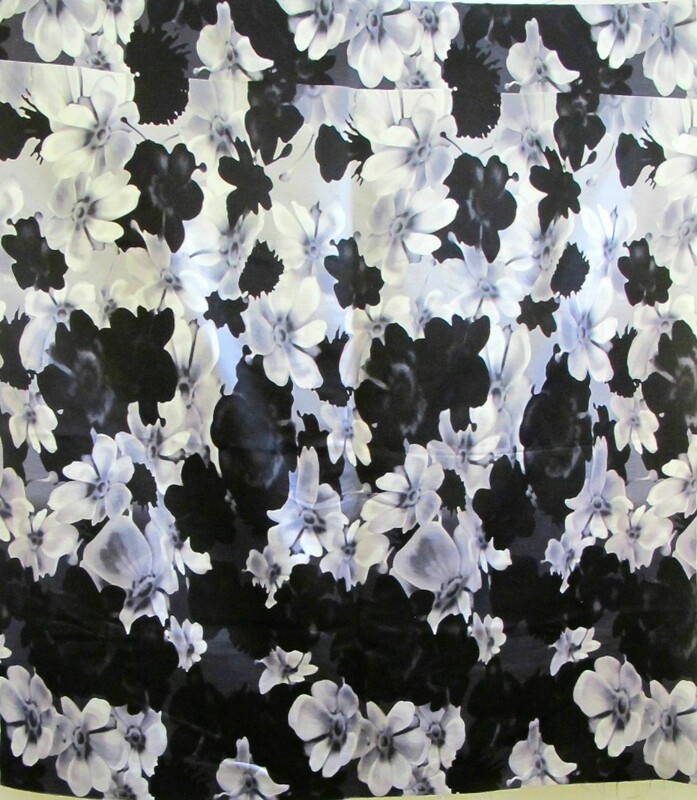 The print is of white, silver and black blooms on a graduating colour background. Images Madame Germany, US Vogue, Pulp Magazine. The original dress from the designer is in the top left of this collage. 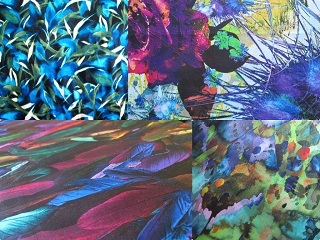 The fabric is 115cm wide and the length of each panel is 1.10 metres. The change over the panel is quite subtle. At the base the background is densely black, graduating to a predominantly white back ground at the top third of the panel. I have two panels here (2.2 metres) in one continuous length. 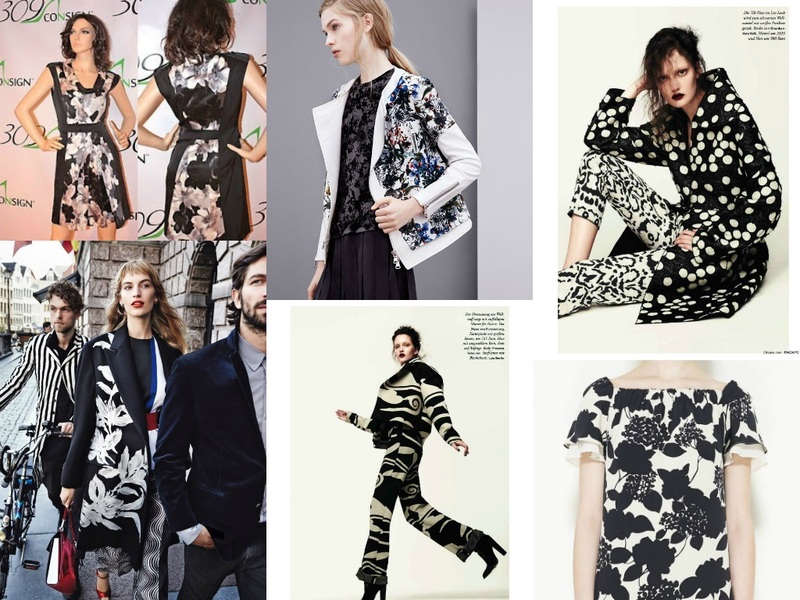 I envisaged something like the jacket centre top in the collage above…the patterned body and plain sleeves. The price per panel (1.10m) is $34/$68 for the piece.